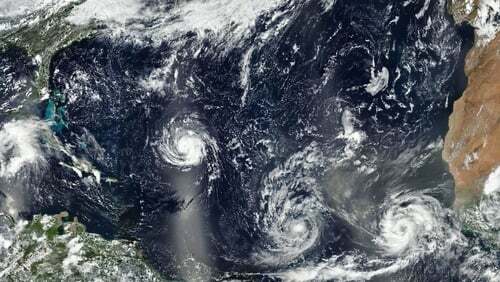 Helene is one of several major storms in the Atlantic at the moment, with Florence sparking mass evacuations on the east coast of the US. Helene is currently 2,065km south-southwest of the Azores in the Atlantic and Met Éireann said the storm would approach the south coast by Tuesday. Met Éireann said: "Current indications are that (ex-) tropical storm Helene will approach Ireland's south coast during Tuesday. The Met Office in the UK said Helene could also hit the south-western corners of the UK, with south Wales and the Cornish peninsula expected to bear the brunt of any storm-like weather. Is Ireland ready for hurricanes?